Just married? Got a couple kids? In the middle of raising a family, but got this crazy calling to go learn the Word of God? There’s room for you here at CCBCi! 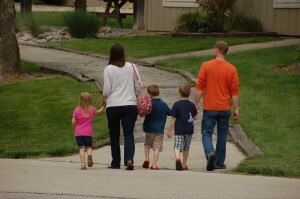 The Bible College regularly hosts entire families and welcomes kids! Horizon Christian School, a K-12 private school on campus that teaches kids about the Word of God in addition to high-quality traditional education. There’s a playground and swings, a pond to fish in, basketball courts, fields, woods to explore, and more. The campus is set privately into the woods, but is only a short drive from super shopping centers like Wal-Mart, the mall, Costco, and other commercial amenities of suburbia. The CCBCi campus has a place for you – two of them, actually. The Brick House is a three-story building in between North and South Campus. It’s open and bright, has a full kitchen, laundry facilities, and private rooms upstairs. It’s right next to the playground, and it has its own parking lot. 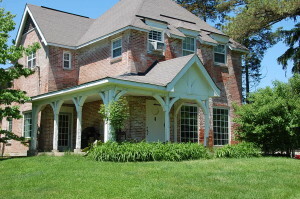 The Baker House is a two-story on the very southeastern edge of campus. It also has full kitchen facilities, living areas, laundry, and several private rooms. It’s a little darker inside, but it’s altogether a bit more private since it’s tucked away on the corner of campus. It is next to the ball fields and also has its own parking lot. Calvary Chapel Bible College Indianapolis!